This collection addresses recent research on challenges facing organic animal farming such as more targeted breeding, improved grazing and feed rations, better methods of health and disease management as well as ways of enhancing animal welfare. Dr Mette Vaarst is a Senior Researcher in the Department of Animal Science at Aarhus University, and in the International Centre for Research in Organic Food Systems (ICROFS), Denmark. She has published widely on organic animal farming and coordinated a number of major European research projects in this area. Dr Stephen Roderick manages research and development projects in organic and sustainable farming at Duchy College’s Rural Business School in the UK. He has published widely in animal health and farm resource management. Sheep have long been a feature of farming. This collection reviews the latest research on issues such as meat quality, genetics and breeding. 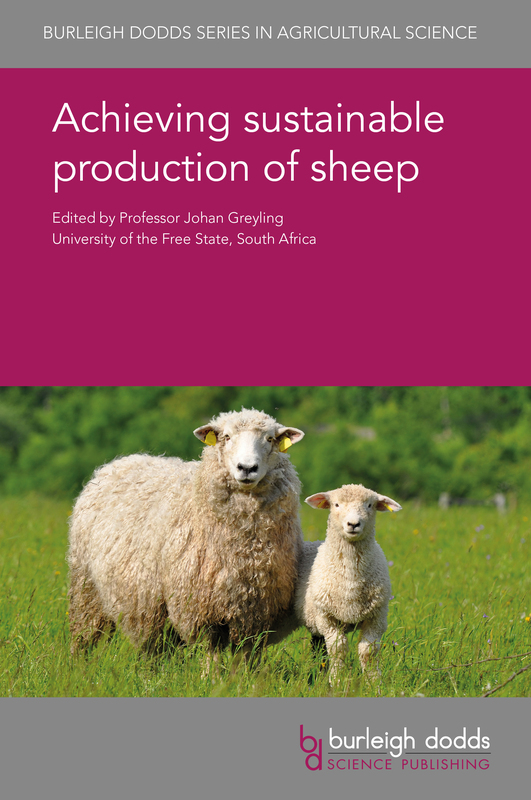 It also discusses animal nutrition, health and welfare as well as ways of improving the sustainability of sheep production. Professor Johan Greyling is Head of the Department of Animal, Welfare and Grassland Science at the University of the Free State, South Africa. He is also Editor-in-Chief of the journal Small Ruminant Research as well as Associate Editor of the South African Journal of Animal Science. He has published widely in the area of animal breeding and worked with major international organisations such as the International Livestock Research Institute (ILRI).